Threats to our ocean ecosystems and the local and international conservation champions dedicated to save them, including YOU! Sunday night’s Blue Planet II episode was an epic and wonderfully presented rollercoaster of both the great conservation achievements and the threats to marine ecosystems. From the herring fishery that is now well managed so that orcas can hunt with their cool tail-slap to our ocean, beaches, and marine life being inundated with all sorts of plastic, waves of hope rose and fell: there was the elusive pregnant whale shark that left you hanging by disappearing into the dark at depth; the inspiring guy turning leatherback turtle hunters into turtle protectors; our new-found ability to hear anemone fish barking at the predator model fish - and then there was the coral bleaching that has devastated the Great Barrier Reef to remind us of the damage that human activities are wreaking to ocean ecosystems..
Amazing footage of animals and the people who have dedicated their life to protecting them gives us hope; it also makes me all the more motivated in the purpose of saving marine life. The return of herring, whales, and turtles show that good management and collaborative policy-agreements can be very powerful conservation tools. However, multi-species approaches are necessary to support the delicate balance of marine ecosystems and wider issues were not sufficiently addressed. Coral bleaching events will not only bleach hard corals, but also the clown fish’s anemone, exposing them and other associated fauna to difficult conditions. Can wandering albatross, penguins, and elephant seals survive the loss of ice habitat, tides of plastic, and changing prey communities? Will sustainable fishing enable the continued supply of wild fish protein, where communities have adjusted to a new normal of eating less fish, and no turtles, whales, and tuna? Will we have the opportunity to learn more about the newly discovered deep Antarctic communities that rival the coral reefs in colour (that's saying something coming from a coral reef ecologist) before they get too hot? The final Blue Planet II episode has encouraging answers, some of them clearly stated, others implicit. For example, noise is everywhere in the ocean nowadays, but it would be very easy to manage. My guess is that the quiet paddling outriggers that Stephen Simpson is using to move his fish listening rig around could also be attractive to tourists. Shipping routes could be restricted to certain corridors, or sailing boat use could be incentivised. Plastic pollution is a huge challenge, but we can reduce the continuing stream of cups, bags, bottles and straws down our rivers by stopping their use – everybody’s choices make a difference here! For example, make a choice to stop using plastic water bottles (e.g. see https://www.onelessbottle.org)! 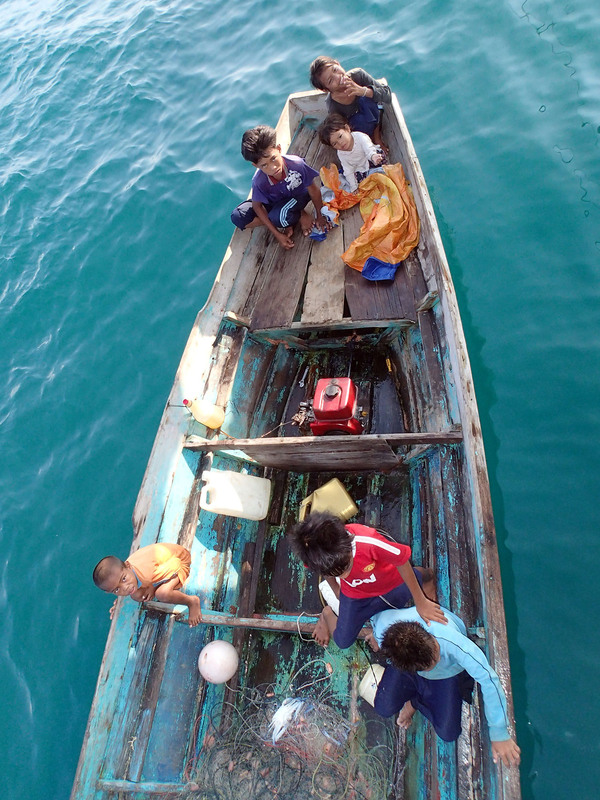 Individuals can become leaders in conservation, and dedicate their efforts towards changing people’s perceptions, culture, and practises in using marine habitats. In fact, the last Blue Planet II episode is mostly about local champions and researchers for conservation, pioneering new solutions or measuring outcomes of such conservation. 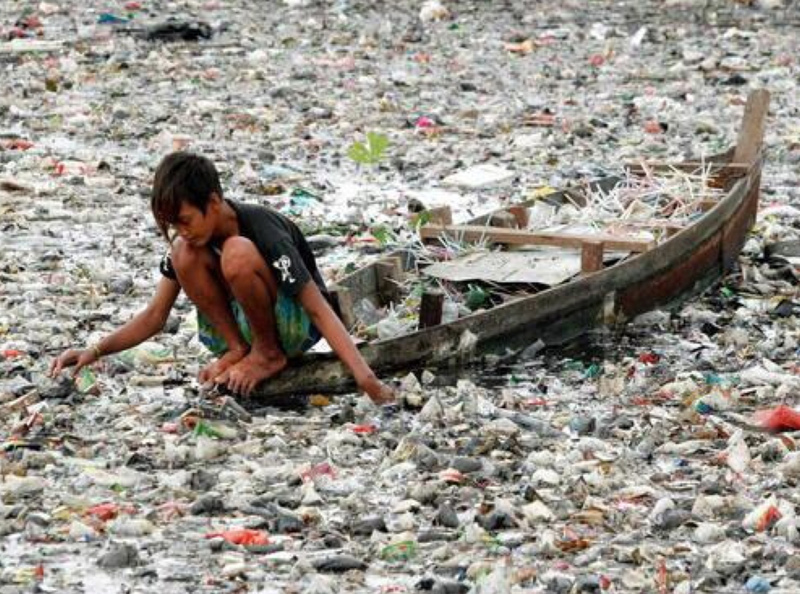 Photo: Plastic pollution is present in remote areas and intense in some Southeast Asian fishing villages! © Heather Koldewey/ ZSL. Our biggest challenge by far, however, is climate change. Much has been written about the devastating impacts of the triple-whammy of warming, acidification, and sea level rise and it is clear that even remote corners of the oceans are affected. Its inhabitants are forced to move, adapt, or face extinction. The beauty of the footage of glaciers breaking up is breath-taking, and also quite scary. Coral reef ecosystems don't look too good after a large-scale mortality event, as witnessed by the Blue Planet II team on the Great Barrier Reef. Sir David Attenborough, however, has a message for us: past conservation and management efforts that show incredible success today (like Norway’s herring fisheries management, or Len Peters’ turtle village) can be replicated elsewhere. We can be inspired by conservation leaders, and from the stories shown on screen, to tackle our own local ocean management challenges. We need to bring together nations to sign agreements and to protect migratory species and those of the deep. Hopefully, nations can also sign, rapidly implement, and be proud of (ocean) climate agreements to facilitate positive change in how climate change affects our oceans. Attenborough says loud and clear that we need to reduce carbon emissions immediately, e.g. by going to renewable energy, to curb climate change and save the most vulnerable inhabitants of our blue ocean planet. 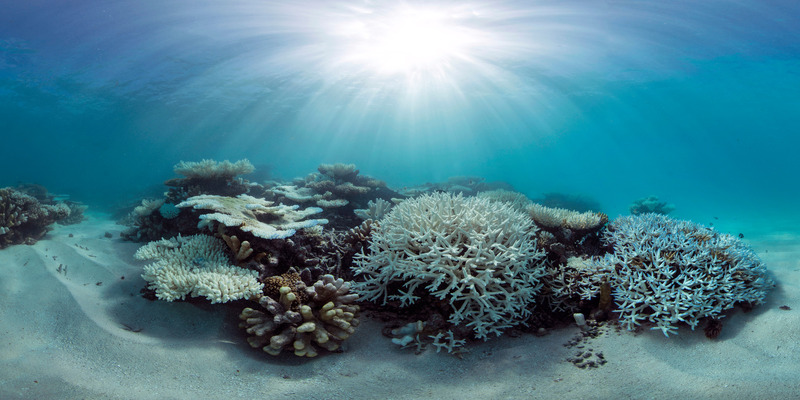 The science shows that is the only way to save some marine ecosystems, such as coral reefs, which are predicted to only persist under the 1.5 degrees Paris Agreement scenarios at best. Photo: A panoramic image of coral bleaching in the Maldives © The Ocean Agency / XL Catlin Seaview Survey in May 2016. Personally, I remain optimistic that the global community will make the right choices, so that our grand-children can still see majestic albatross, listen to Nemo bark, see herring swarms swirling around in future Blue Planet productions, and not go swimming through the ruins of Miami. I think that the final Blue Planet II episode supports this hope and calls everyone to help with the common goal of saving the ocean. I thank the Blue Planet II team and Sir David Attenborough for a truly beautiful and solution-oriented production. Did I just hear that puffin grumble?